meza - in the brains: Goodbye Google Reader! What now? 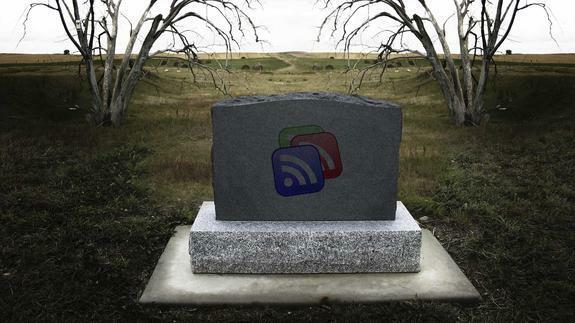 Goodbye Google Reader! What now? In short, bye bye Google Reader! 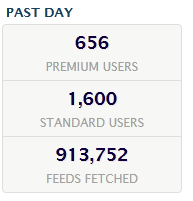 Now if you're like me and have collected hundreds of feeds over the past 8 years, this news would likely hurt your feelings too. The first thing you can do is to search for alternatives. I've done the search before the media jumped on the topic, so most of the results were familiar to me. One stood out from the rest: NewsBlur. Training: By using NewsBlur's training filters, you can hide stories you don't want to see and highlight the stories that interest you. Teaching NewsBlur your preferences (or lack thereof) for certain blogs, authors, and topics cuts down on the noise and connects you with the news that interests you most. Social: Sharing and talking about the news is not only fun, but allows you to break out of your routine and embrace the serendipity of your friends' tastes. Blurblogs: Even if your friends aren't NewsBlur users, they can keep up with what you're reading through a public blog of all the stories you've shared, including your comments. Apart from the training feature, these were the characteristics of Google Reader I fell in love with. 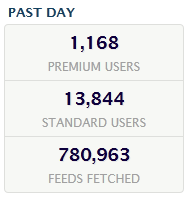 I specially loved the social bit while they had it on, as I've discovered many feeds browsing my peers' subscriptions. It was a good feeling to share something with the one's following me. It wasn't like sharing on social sites. This share was to a thin slice of my social network. A slice of people who were interested in what I read. After all this trip down memory lane, I've decided to give NewsBlur a spin. Not surprisingly, by the time I got to this option, many thousand fellow feed consumers did too, bringing the surprised NewsBlur to its knees. Fortunately the maintainer issued a tweet directing us to the another domain where the service was up for a bit longer.